Last year, we visited the “Nightmare @ Disneyland”. 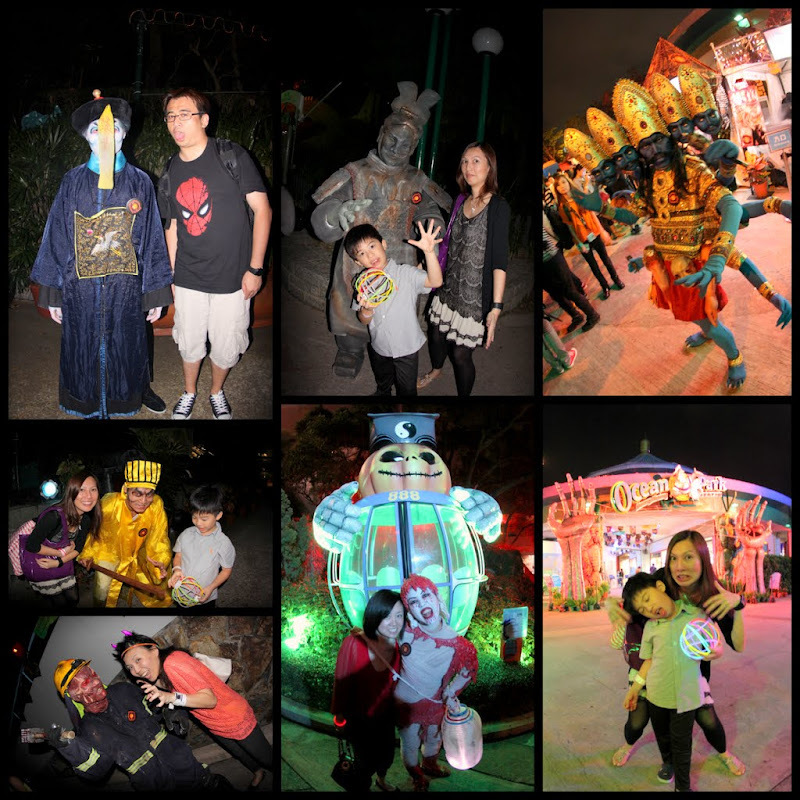 This year, we decided to explore the “Haunted Ocean Park”. We heard many scary tales from the locals about this place. And they are right – Ocean Park is indeed more scary, darker and bloodier than the cute monster at Disneyland. Our frightening experience started even before we arrive. The wandering ghosts of Ocean Park can be seen and heard at the bus terminal. They sprang out of the darkness and terrified the unprepared visitors. The torturous screams of the poor victims can be heard throughout the long night. Selina was the first victim in our group. An old woman, selling blood-soaking human eye-balls attacked her from nowhere! The atmosphere at the Park was like a scene replicated out of Kelvin Tong’s horror movies. The park was illuminated red and green – certainly not the Christmas lighting. More evil characters lurked inside the park, waiting to launch another attack on more innocent minds – especially the young ones. Thick fog and dim lighting obstructed our senses. Elkan was the target of one evil witch. She haunted the poor boy round the park. Elkan was running in circles, screaming and crying. He even dropped his one of his shoes behind! In the end, Felicia had to risk her “soul” to get the shoe back from the monstrous witch. Many passersby simply watched the drama from a distant. No one intervenes to help. The group spotted many evil beings and we captured the eerie moments on our camera. The haunted houses were too overcrowded with people. And some took as long as 2 hours to queue (This just reminded me of World Expo in Shanghai!). Even those with special passes had to queue for an hour before they can venture into the unknown. Sorry, there is no “special” express queue for pregnant, handicapped or elderly women. These people are not allowed in the first place. The verdict? 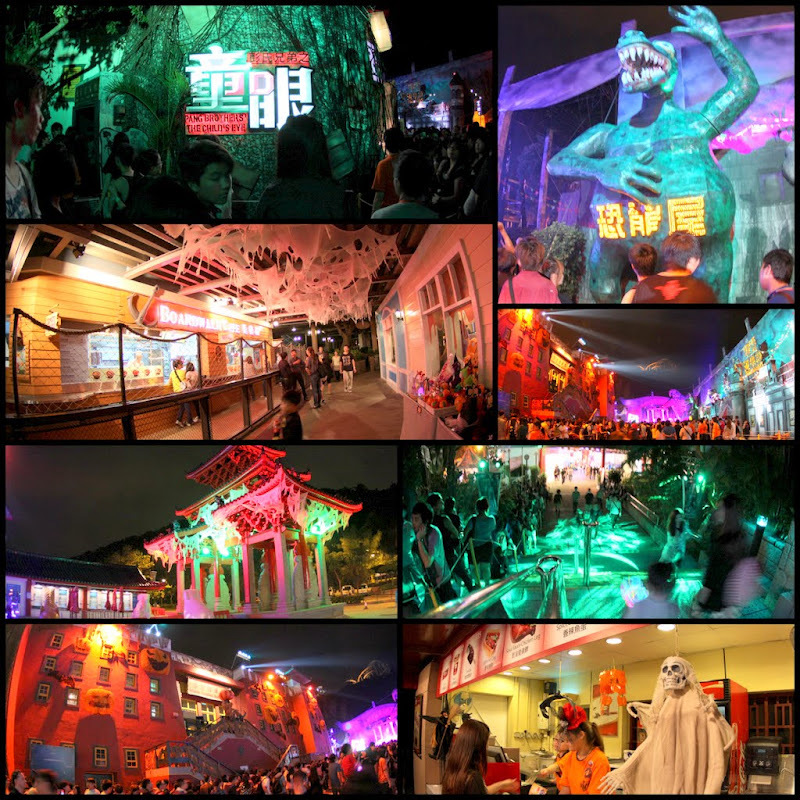 Ocean Park offers the raw Asian touch of fear (the evil spirits there speak Cantonese). It is darker, scarier and bloodier (and funnier!). However, it is too congested with people. Be prepared for the long queues, steep slopes and the hectic back-breaking walks. 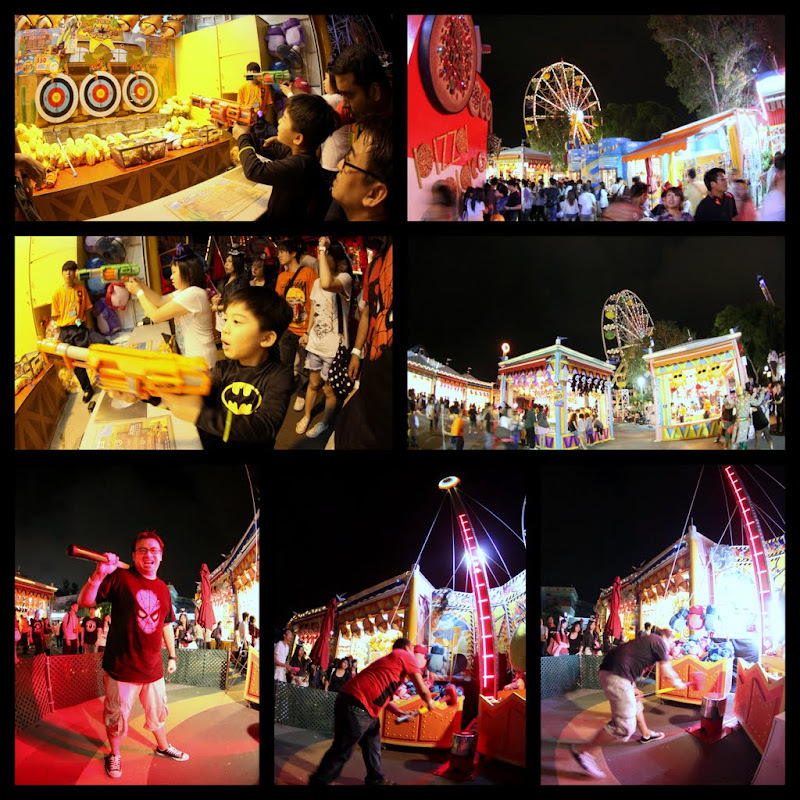 If you prefer the western English-speaking Halloween-themed park, Disneyland will be your best choice. Either way, you are heading for hell. Be warned and entertained.